Another Reason to Love A16... Exploring Dry Zibbibo. Yes! 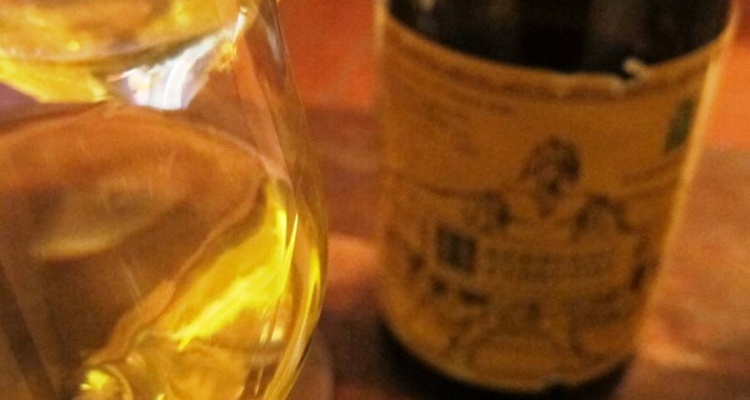 Italian white wines can age! I don’t know where or why the rumor that white wines (especially from Italy) should only be consumed when fresh and young was started, but it needs to be squashed- now. Most of my epiphany-moments with Italian wines have been with older whites. 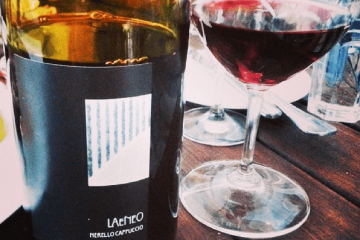 Benanti’s Pietramarina from Etna, Emidio Pepe’s Trebbiano, Fiorano’s whites… the list is long, my friends. 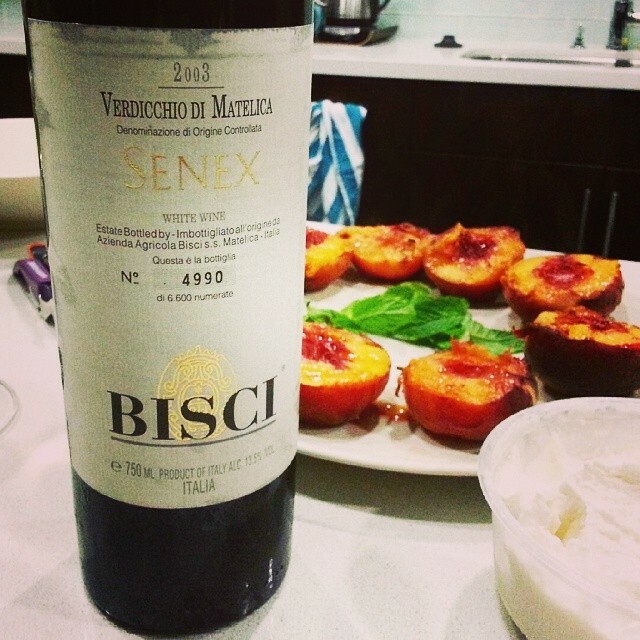 For example, this Verdicchio di Matelica from classic producer, Bisci, is gorgeous with 10 years of bottle age. The steeliness of youth found in some Verdicchio di Matelica wines is fleshed out by the long, slow, micro-oxidation of the wine through its cork. A wine that might have been overtly bright and cheerful in its youth become more brooding- complex, aromatic, and oilier on the palate. For the record the pairing of this Verdicchio with savory, slow-grilled peaches and yogurt with basil and a drizzle of aged balsamic vinegar was just about the most perfect food-and-wine pairing I can remember. (Bravo, Geoff and Amber!) Now that’s my kind of dessert. Not every Italian white wine can age. However you will find greatness more often than not, especially with the combination of the right grape varietal, vinified by an experienced producer. Verdicchio, Trebbiano, Soave, Fiano are all great places to start if you’re looking to taste some older whites wines from Italy. These varietals all seem to have the backbone and the acidity to evolve with time. Check out this great podcast by Master Sommelier Geoff Kruth at the Guild of Sommeliers. You’ll start to understand what it takes to produces truly great white wines (that can age). Open your mind. Don’t be an ageist– talk to your favorite retailer and ask them when they have in the back of the shop. My guess is, you’ll be happily surprised by what you find. *By the way, that Bisci is available at the Wine House in Los Angeles (they ship everywhere) for only $27.99. I would happily pay twice that for this level of deliciousness. WOO HOO! Another preacher of the #OldWhiteWine faith! I will make sure to listen to those podcasts listed and hear what they have to say… Here in Friuli Friulano and the various SuperWhite blends made here are TOTALLY better with years of bottle age. Please keep this message going and I’ll try to do my part this fall be resurrecting OldWhiteWine.com! Yes, please resurrect OldWhiteWine.com!!! I will try to rectify my oversight by writing about some old Friulian whites ASAP! Grazie, Wayne! Joanie: Excellent post, but it is a shame that Wayne, you and I have to keep telling people that Italian white wines do age beautifully. But that’s reality- it’s difficult enough to get many people to take Italian white wines seriously in the first place. Verdicchio may be the finest white variety in Italy as far as aging potential; I tasted the 1999 Cuprese from Colonnara last year at the winery; it was in incredible shape. 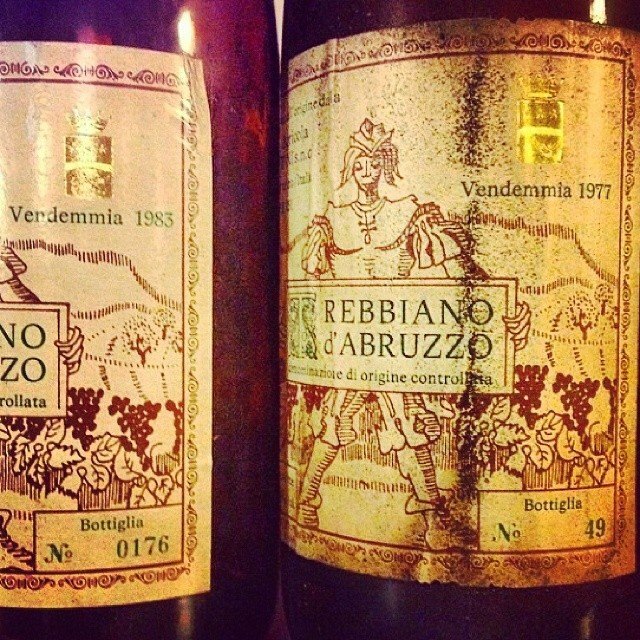 But as you mention, there are a few great producers of Trebbiano d’Abruzzo whose wines stand the test of time. Then there is the Soave “Contrada Salvarenza” of Gini; I’ve had 12 and 15 year-old versions that were outstanding. Likewise for Greco di Tufo from Campania – one great example was the 1978 from Vadiaperti I tasted in 2012 – 35 years old with great freshess! Thanks Tom! I love waving the flag for these types of causes- people are sure to be happy and sweetly surprised when they taste some of the great older whites of Italy. Everybody wins! Restaurant Ragu, in Helsinki, Finland has Angelo Gaja wines from 1999 on their wine list. But the prices are high….